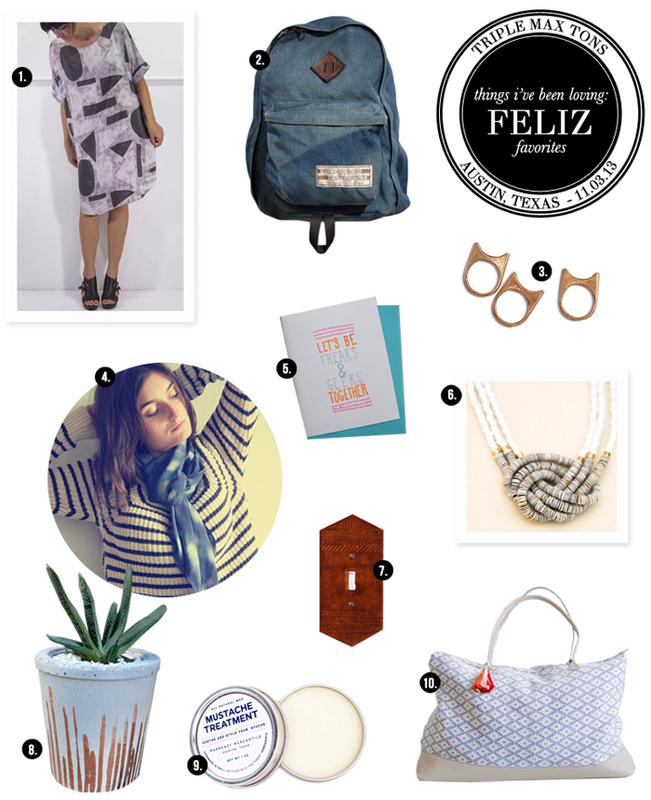 My FELIZ favorites in Citygram Magazine! I'm over at Citygram dishing on what I'm most excited to see at the second annual Feliz pop-up sale. New to the mag? It's an essential interactive online read for any Austinite, so hop to it and download the free app! Check out the latest issue to get links to all the lovelies you see above, and be sure to mark your calendars for November 3! When I attended the first Feliz last year, I was blown away by all the talent contained in one little room. It was a handmade haven of home decor, accessories, paper goods and beyond - and from the looks of the incredible vendor line-up, this year's pop-up is not one to miss. Get a taste of current and new collections from local favorites like Miranda Bennett, Fail and Oh Laszlo, and explore other talented designers, like Great Lakes and Tiro Tiro, from all over the country. A prime spot for holiday shopping, you'll be sure to find a perfect gift to give...that you just might end up wanting to keep for yourself, so stock up!